Voting Rights Updates and Actions! 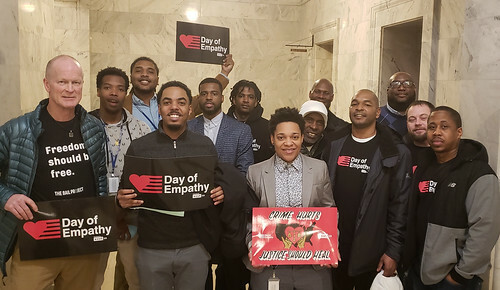 It's been an energetic last few weeks re-igniting the KFTC Voting Rights campaign to restore voting rights to people with felonies in their past. 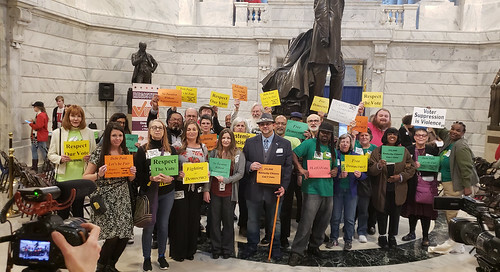 KFTC's primary strategy for restoring voting rights to Kentuckians with felonies in their past is to change Kentucky's Constitution to permanently grant the right to vote to all 312,000 Kentuckians who don't have the right to vote now. 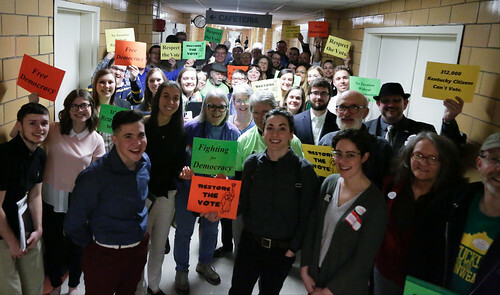 KFTC's Voting Rights Strategy Team, made up of directly effected people and other members from all over the state, decided additionally get involved in a lawsuit arguing that the current system is arbitrary and unconstitutional. Our most immediate task is to find people who have lost their right to vote to join our list of plaintiffs for the case. If you do not have the right to vote because of felony disenfranchisement in Kentucky and you're off of probation and parole, and you'd like to join the lawuit as a plaintiff, please reach out to Dave Newton as soon as possible at Dave@kftc.org or 859-420-8919. Our deadline to reach out to people to add them is Friday, January 25. Below is the press release sent out by our allies about the case. Ther Northern Kentucky chapter is celebrating Martin Luther King, Jr. weekend by working with allies to share his story and message, and to be standing alongside others in the community who carry on his work and legacy.